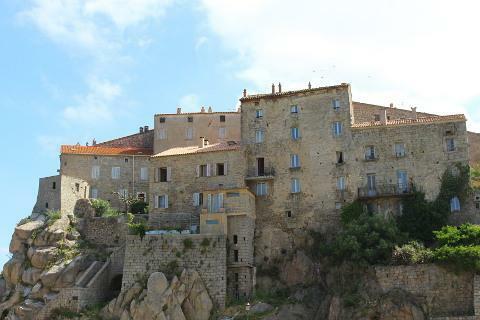 Sartene is found in south-west Corsica a few kilometres into the mountains south-east of Propriano. 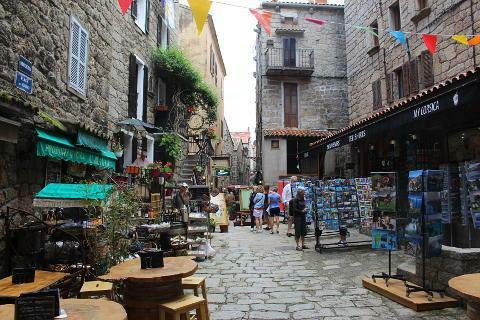 The town has a long history of piracy, banditry and gangsters, now happily largely given to more peaceful occupations. The wealth of the town is founded on the highly rated Sartene wine. The first thing that will strike you as you arrive in Sartene is how the tall buildings, in the same rock as the steep hill on which they stand, look almost unnaturally solid and part of the landscape. 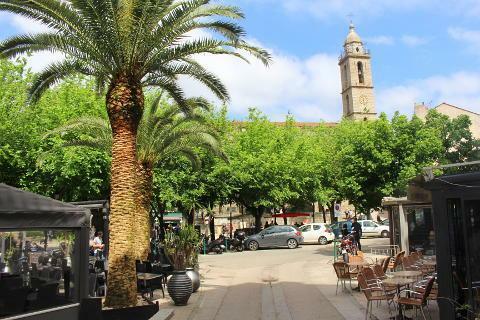 The centre of Sartene, and the starting point for your visit, is around the Place de la Liberation, previously and commonly still known as Place Porta. This is a pleasant square containing shady trees and with nice views across the valley. The old Governor's Palace is also in the square although the guillotine that also once found service in the Place has given way to tourists! 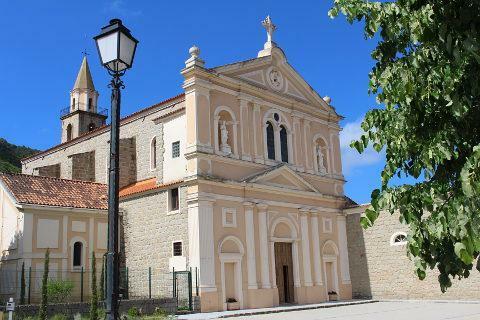 Sainte Marie church, with its characteristic Corsican belltower is also on the edge of the square, and contains the cross and chain that are worn by a penitent in a long procession through the town each Easter. 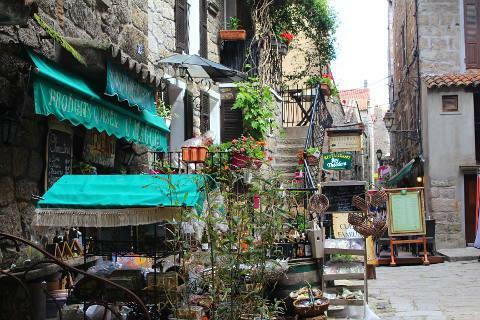 Enjoy a rest in one of the cafes of the Place Porta then descend into the fascinating old town of Santa Anna spread out down the hill below, with its narrow streets crammed with a incredible medley of tall ancient houses, linked by arches, arcades and alleys, and sometimes blocked by unexpected rocks. 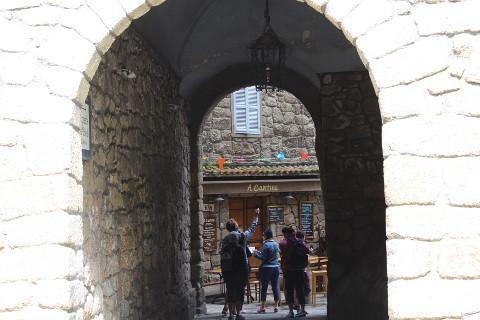 A myriad of ever narrower passageways and staircases provide a fascinating glimpse of a Corsica that is surely unchanged since hundreds of years ago. Sartène is often used as a base for visiting the prehistoric sites of Corsica at Cauria and Palaggiu, with their fine dolmen and menhirs, and the standing men stone carvings at Stantari. Because of the proximity to all this prehistory it is no surprise that Sartene has a Museum of Prehistory that presents some of the many artefacts that have been unearthed in the vicinity. 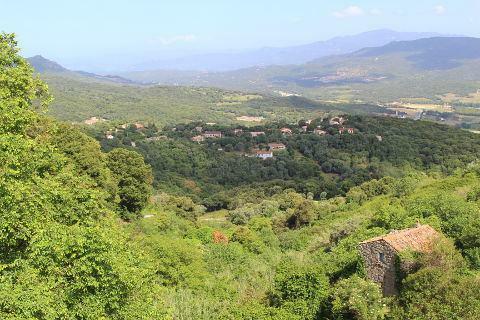 The spectacular wilderness in the mountains of this part of Corsica is also explored from Sartene, which is also within easy reach of the beaches around Propriano and the coast of south-west Corsica. 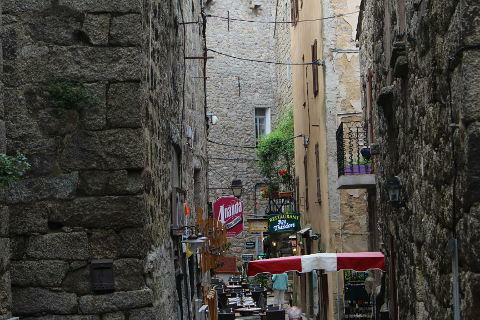 Ajaccio to the north and Bonifacio to the south are both interesting and historic towns well worth a visit.